Twitter is like those newspaper headlines that you see on lampposts. Just a quick bit of news to encourage you to investigate more. Minute-by-minute information of what is happening right now. Facebook is like a newspaper that you buy and scan through, picking out the interesting bits and throwing the rest away. Day-by-day information of what is happening in your world. A Blog is like a magazine, that you read more thoroughly, and perhaps even keep for future reference. A Website is like a coffee table book with lots of detailed information on a subject you are really interested in. And all of this is so we can stand around our Virtual Braai and discuss topics that are close to our hearts. The TV advert says that the “Searching For Sugar Man” soundtrack “includes 3 previously unreleased songs” but this is not true. “Street Boy”, “Can’t Get Away” and “I’ll Slip Away”, recorded in 1972/73, were first released on the Australian “At His Best” album. They are also included as bonus tracks on the 2009 US release of “Coming From Reality” (which is known as “After The Fact” to South Africans). The “Searching For Sugar Man” soundtrack album also leaves off “Rich Folks Hoax” which contains the classic opening line “the moon is hanging in the purple sky”. 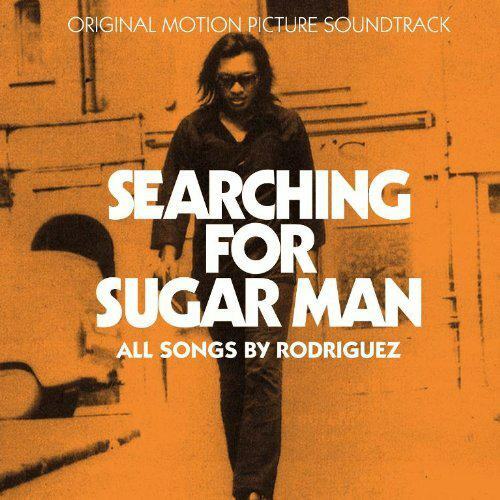 Sugar Man – The Best Of Rodriguez is a better collection for rounding up his best and most popular songs. Ard Matthews & Friends Charity Concert set to rock Cape Town! The annual Ard Matthews and Friends Charity Concert will be taking place for the third year running, on Thursday 27th September 2012 at the Upper Eastside Hotel in Woodstock. The popular South African singer, Ard Matthews who is also lead singer of the acclaimed band Just Jinjer, has been at the forefront of this concert for the past 2 years along with the assistance of top events and PR company, The Little Black Book, and brings together great South African talent to raise money for a worthy cause. This year the funds raised through ticket sales will go to a trust called “We The Good People”. A charitable cause, founded by Ard along with two other trustees, Alistair Hargreaves (Springbok/Sharks Lock) and Sean Temple (owner of Flux Motion Kettle Bell Gym). The simple rule of this organization is – trust – and they hope to gain the trust of the public when it comes to the appropriation of charitable efforts. The charity aims to educate the public about the importance of giving back to others no matter how busy they get, and to allow 100% transparency when it comes to the distribution of the funds. It will also be facilitated by one of the world’s top law firms, Norton Rose, as part of their pro-bono social investment. This year’s line up will not disappoint and will include Ross Learmonth, lead singer of Prime Circle, Arno Carstens, blues sensation Dan Patlansky, and of course front man, Ard Matthews. There will also be a short and fun auction taking place, handled by the well known Ariella Kuper from Clear Asset Auctions. Tickets will be available through www.webtickets.co.za and will be R150 each. SEARCHING FOR EXPOSURE? TRY SUGAR MUSIC…. Brian Currin and Stephen “Sugar” Segerman met in 1997 through the rediscovery of Rodriguez. A mutual love of music (especially the South African kind) and sharing it with others, saw them launch Sugar Music in the early-2000’s. Sugar Music has since become the hub for many projects including SugarMan.org, The South African Rock Encyclopedia, The SA Rock Digest, SAmp3.com, Mabu Vinyl, and a number of other joint and associated music ventures. Since 2004, Sugar Music has been supplying Channel 24 (MWeb’s entertainment portal) with MP3s by South African artists of all genres, and from all decades, for the MP3 section of their Homepage. These MP3s are made available as free downloads by Channel 24, to help give exposure to all these artists and their music. Some tracks are full length (if requested by the artist), but most are edited to be between 70% and 75%, as long as they are longer than 2 minutes. An image, a short blurb, and a hyperlink are included with each entry. If you would like to take advantage of this excellent promotional opportunity, at no cost to yourself, please supply a list of songs that you are authorising for free download and which web address you would prefer each song linked to. Sugar Music will take care of the rest. Sugar Music submits monthly reports to NORM, of all tracks supplied to Channel 24, to ensure transparency and compliance. For more information please contact Sugar on sugar@sugarmusic.co.za or phone 021-4237635. Brian Currin is known to many of his friends and clients as “My Web Guy” and to a number of people all over the world as “a guy who knows a bit about music“. The South African power trio of vocalist and guitarist Shaun Morgan, bassist Dale Stewart and drummer John Humphrey that is collectively known as Seether makes a welcome return to South Africa since their last visit in June 2008. Seether has sold millions of albums to date worldwide and are mainstays in the touring circuit averaging more than 275 performances per year. 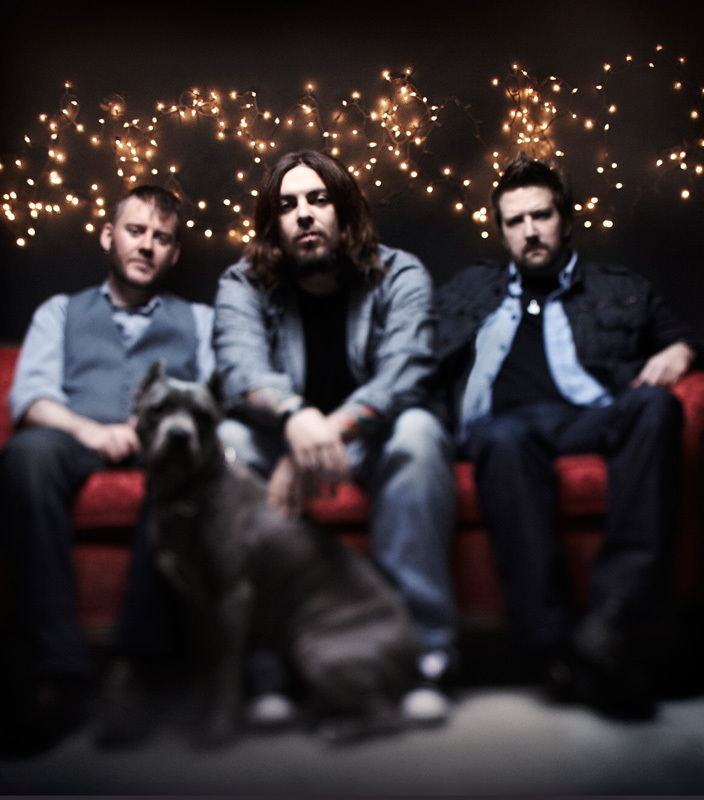 Seether have had 11 #1 singles and 17 Top 5 hits across multiple formats at radio. The South African trio’s latest single “No Resolution” from their Wind-Up Records release, Holding Onto Stings Better Left To Fray, hit #1 at Active Rock marking the first time the band has had 3 consecutive chart topping tracks from the same album. “No Resolution” follows in the footsteps of previous #1 singles, “Country Song” and “Tonight,” and continues the band’s undeniable dominance at the format. “Country Song” spent an amazing 11 weeks at #1 over the course of the year, achieved Gold status for sales of over 500,000 units digitally by the RIAA and was named Active Rock Song of the Year by Billboard. “Here and Now” will be the next single to make waves at radio around the world including the US and South Africa. Originally founded in Johannesburg, South Africa by Shaun Morgan and Dale Stewart, Seether made its initial impact on U.S. hearts and eardrums with 2002’s Disclaimer. Seether’s hit “Broken” featuring Evanescence vocalist Amy Lee became a massive international hit for the group. In 2004, Seether remixed and remastered Disclaimer, adding eight new songs and new cover art to create the two-disc set Disclaimer II, which went Platinum. In 2005, Seether released Karma & Effect, which is certified gold and followed that release up in 2007 with the now Platinum Finding Beauty In Negative Spaces, which went Gold in South Africa and is well on its way to being certified Platinum. Finding Beauty also went on to win Best Rock album at the SAMA’s 2008 and Seether was also awarded Best Alternative Act at the 2010 MTV African Music Awards. Holding Onto Strings Better Left To Fray, was released in May 2011 and debuted at #2 on Billboard Top 200. The album has sold over 300,000 copies to date. Kerrang! magazine presented Enter Shikari with the Best Live Band award on 7 June 2012 and in August we get to see just why – live! Enter Shikari (the name comes from a boat belonging to Rou’s uncle), made their debut in 2003 with a unique mesh of hard-core punk and break-beat techno; determined to do things their own way, the DIY way, the right way. A Flash Flood Of Colour is their third full-length studio album; the follow-up to 2009’s acclaimed Common Dreads. An incandescent snapshot of the modern age – of globalisation and recession, repression and protest, commerce and control, activism and engagement – it’s music for a newly jolted generation, a soundtrack for the mosh-pit, the dance floor and the front lines. This is your only opportunity to see and hear them – adrenalised, beats-heavy punkrockdubstephardcoremetalambienttechnonoisecore, custom-built to shake Grand Arena foundations. Bullet for My Valentine comprises lead singer & rhythm guitarist Matthew Tuck, drummer Michael ‘Moose’ Thomas, lead guitarist & backing vocalist Michael ‘Padge’ Paget and bassist & backing vocalist Jason ‘Jay’ James. The group, named Best British Band in 2008, 2009 and 2010 by metal magazine Kerrang!, formed 10 years ago in their hometown of Bridgend as Jeff Killed John, covering Metallica and Nirvana songs. Citing Metallica, Iron Maiden and Slayer as influence they found their niche in 2002 on signing a five album deal with Sony BMG dropping The Poison in 2005, Scream Aim Fire in 2007 and Fever in 2010. With over one million albums in the United States and exceeding 2 500 000 worldwide sales, Bullet For My Valentine’s debut for their South African fans has been a long time coming. KONGOS is a rock band of four brothers – Johnny, Jesse, Dylan and Danny Kongos. Sons of multi-million-seller British singer-songwriter John Kongos, they grew up in London and South Africa, and are now based in Phoenix, AZ. They return to South Africa, hot off the heels of their stellar 2011/2012 SA tour and sold-out performance at Hatfield Carnival. No relation to Cheick Kongo, the conga drum, the Congo people of Africa, Donkey Kong, Kongos Norman, Kongos pizza, Kongos Club in Oklahoma, twitter.com/kongos, Kat Kongos, Lasse Kongos, the Japanese class of battleship or Kevin Bacon. Visit www.facebook.com/onenightincapetown for more information and updates.